Found Chicago has debuted as the newest boutique concept in Chicago’s River North neighborhood. John Sofio of Los Angeles-based design practice Built, Inc. spearheaded the design of the hotel as well as its F&B spaces Mason and Blind Dragon. A vintage-style lobby welcomes guests with a cozy and communal atmosphere. Contemporary décor contrasts vintage details, such as Chicago-style bay windows and a cast iron and tin façade. Herringbone floors and brass accents also span the interiors. The hotel’s 60 accommodations boast 51 private rooms and nine communal options, including a women-only room. Corridors are lined with brass lighting, vintage casework, and modern walnut doors, while rooms are crafted with walnut beds and writing desks and white marble bathrooms. 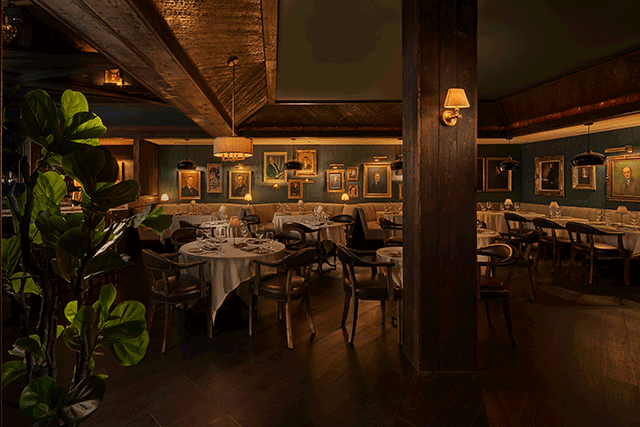 The 80-seat, 2,000-square-foot modern American supper club Mason exudes an old-fashioned intimacy expressed through dark woods, dim lighting, and oil paintings. 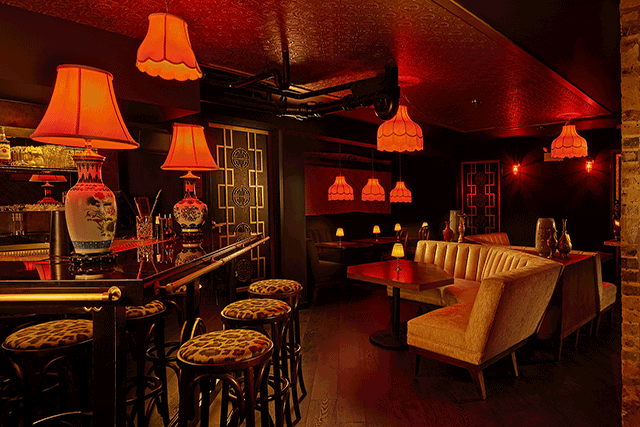 In the basement, the speakeasy-style cocktail bar Blind Dragon is outfitted with three private karaoke rooms in addition to a large corner bar that anchors the 1,500-square-foot space. Gold booths are installed along tiki mat-sheathed walls.